The Jay and Dan Podcast – The Super Christmas Extravaganza! Either way this is the pod for you. Jay and Dan are in the spirit of the season…in more ways than one. The halls have been all the way decked, as this one is fun for the whole family. Or maybe you wait until the kids are in bed waiting for Santa. Speaking of Santa, good old Engineer Jim got into character and makes for one hell of a St. Nick. We’ve got stockings hung with care, a roaring fire, a clever little elf, a fiesty reindeer, a silly snowman, a little drummer boy and a Grinch. 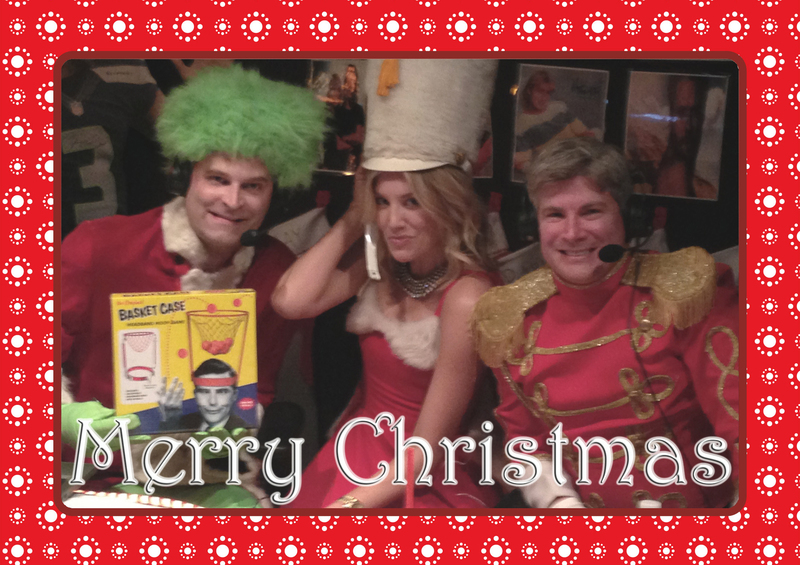 Plus, we get a very special visit from Charissa Thompson–make that Mrs. Claus–for the occasion. And another Christmas miracle, the great Jeremy Taggart came down from North of the Border to join the crew. So here it is in all its glory, cue the horns! The Jay and Dan Podcast Super Christmas Extravaganza!